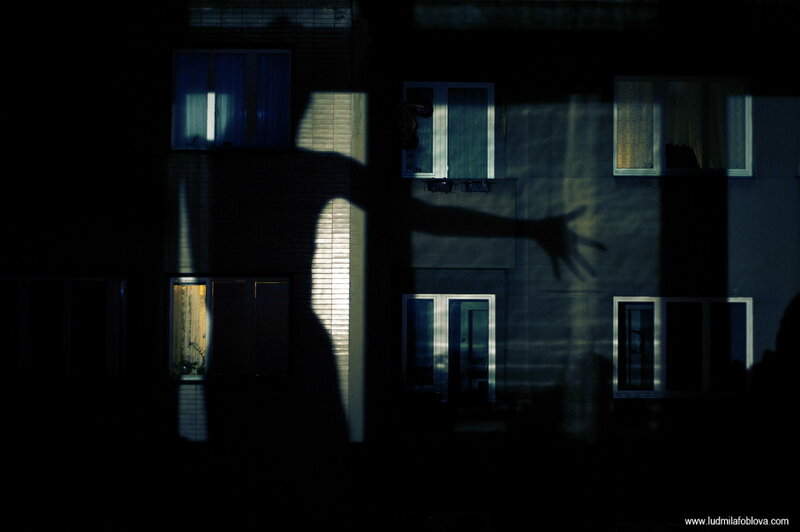 I have seen a lot of accidentally projected scenes, I am always fascinated by them. 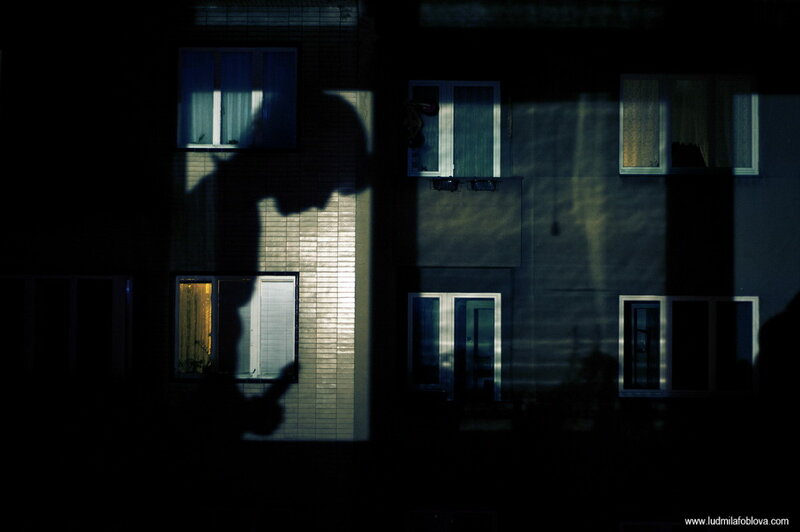 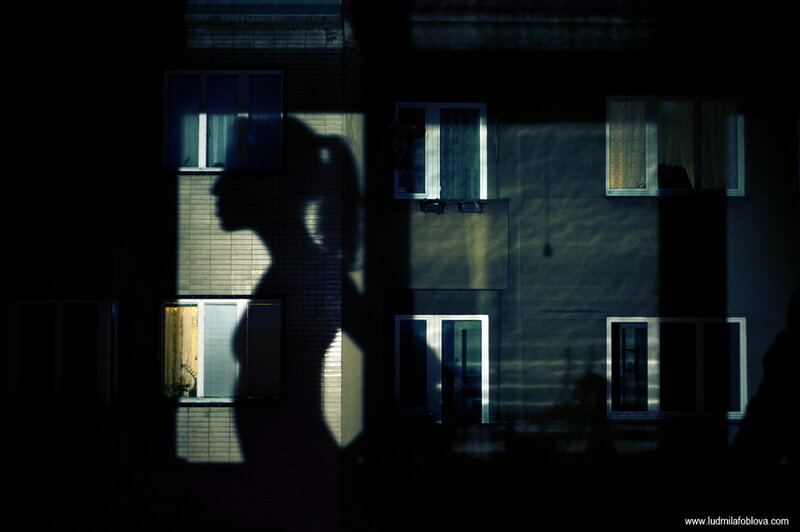 So I asked my model Metteorwa for posing in the light by a window and I have taken photographs of her shadows on the opposite house. 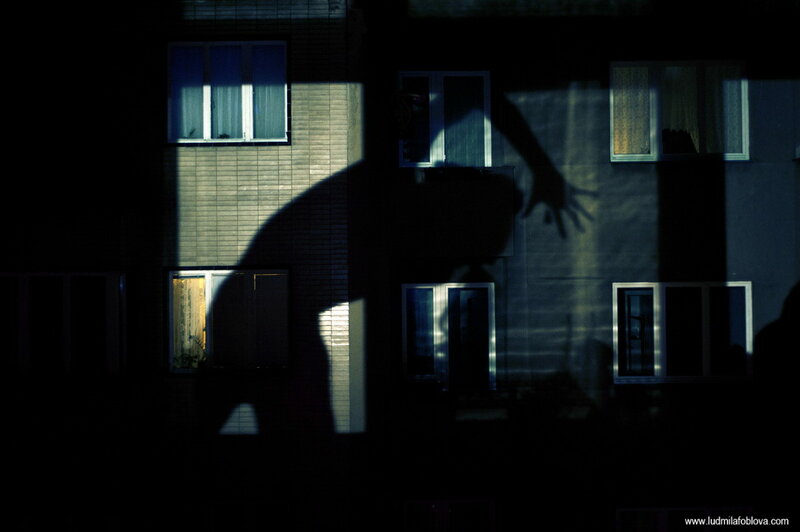 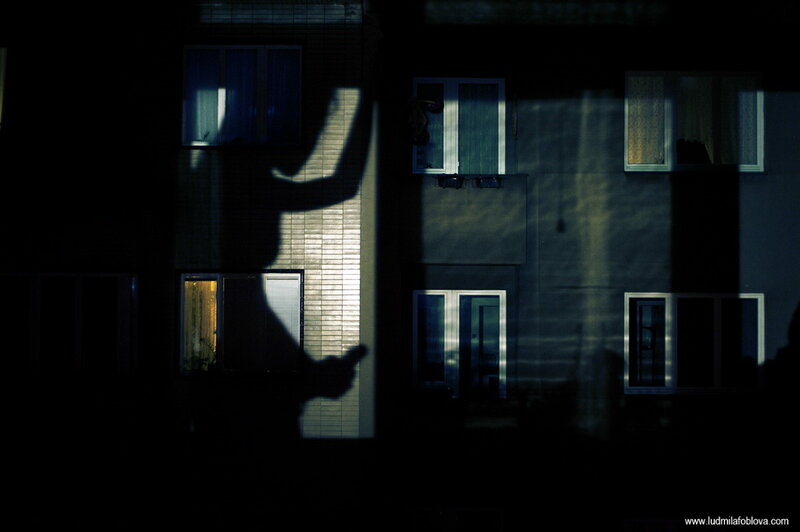 As often, it was a great show for our neighbours to watch 20+ meters tall shadow of a young naked woman (for a while even with a strap-on) dancing on the house wall. 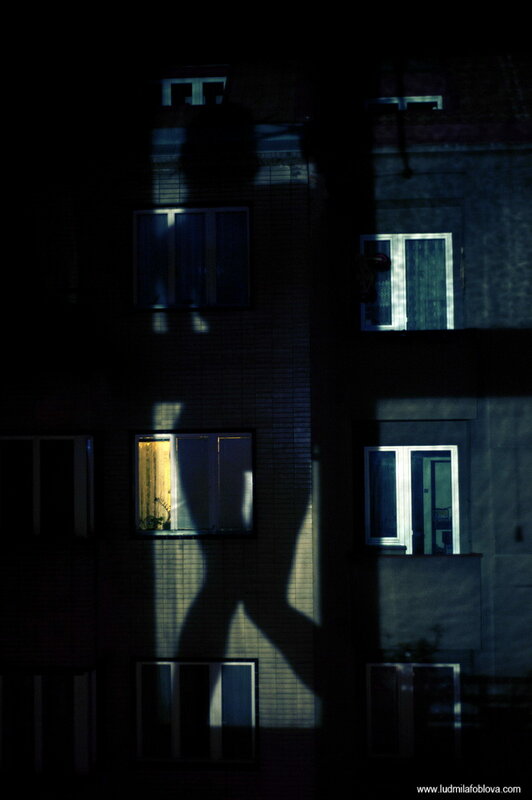 Photography project by Ludmila Foblova, 2012. 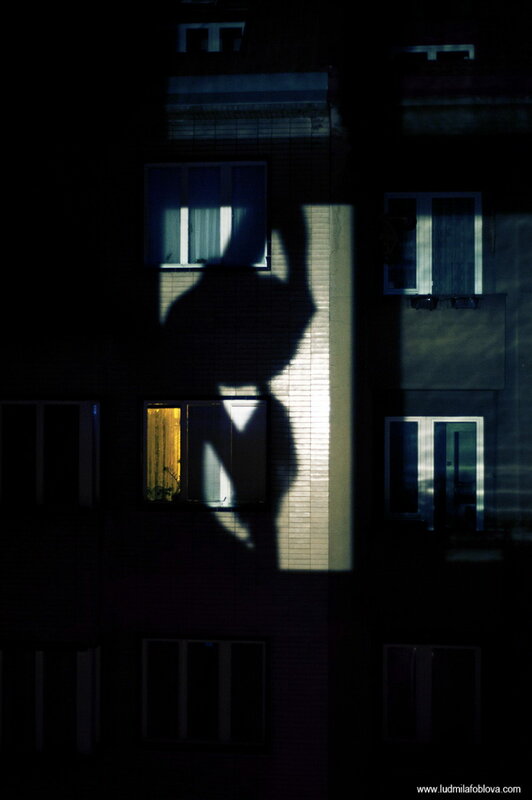 If you like this photo series, tell your friends.